Thank you for choosing TNT Oufitters, LLC located in Millbrook, AL just off Exit 179 at the Prattville and Millbrook exit. 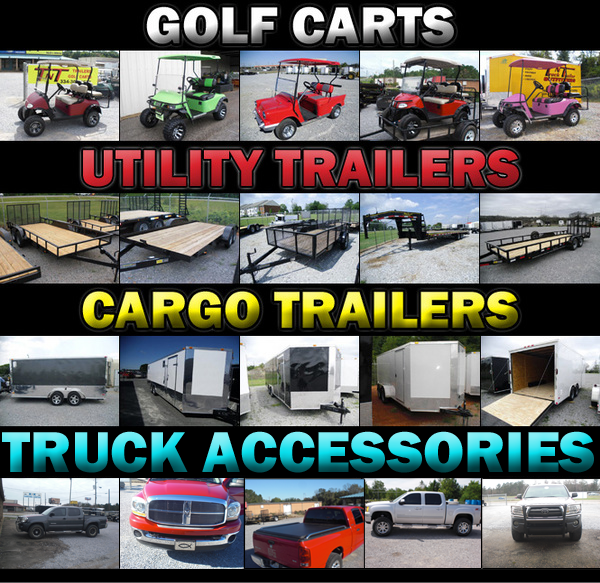 Since 2007, TNT Outfitters has been specializing in Golf Carts, Trailers and Truck Accessories for the Prattville, Millbrook and Montgomery, AL River Region area. TNT has built its reputation by running our business on Christian values and providing our customers with the products they are looking for at the prices they expect! We treat our cutomers the way that we would want to be treated in the same situation.